1922 Rouletted 1½d black and yellow-brown. 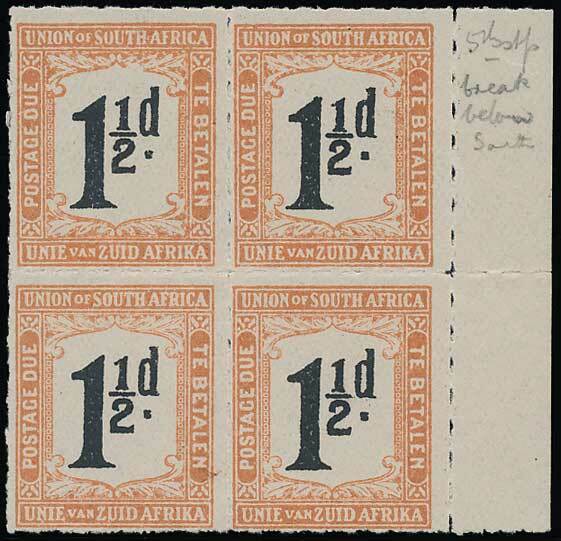 Right marginal block of four upper left stamp showing broken frame above '1½d'. Very fine mint. SG D10 and var.